The UK's largest comms agencies have grown profit margins for a fourth consecutive year and many have increased the amount of revenue they make per employee, according to Kingston Smith's annual survey of the top 40 PR consultancies. The average operating profit margin of top 40 firms was 13.4 per cent, up from 12.6 per cent last year, and better than the 12 per cent average of the marketing services industry. Each year, accounting firm Kingston Smith analyses the statutory reported figures of leading marketing services sectors industry, including PR consultancies, ad agencies, media buyers, digital agencies, design shops and marketing promotion consultancies. The figures in their most recent report are largely based on 2017 fiscal years, but provide important analysis on how agency performance is trending, particularly in terms of profit margins and the amount of income agencies bring in per employee. Of the 40 PR companies surveyed, 26 improved their operating profit, with nine lifting it by 50 per cent or more. Nineteen generated a year-on-year uplift in their operating profit margin, which measures the ratio of an agency’s profit to revenue after all costs and overheads have been removed and is a key indicator of a company’s profitability. Camargue Group reported the highest operating profit margin of 31 per cent followed by healthcare PR specialist Axon Communications and Portland (see chart below). "The highest average profit margin we’ve ever seen in PR is 16 per cent," Kingston Smith partner and media specialist Ian Graham told PRWeek. "We would normally say if you are hitting 15 per cent operating profit margin that’s a pretty good result. To have an average of 13.4 per cent is pretty decent." Across the whole of marcoms, the discipline that reported the highest average profit margin – of 15 per cent – was branding and design, although this follows years of sub-par margins. "Media buyers (12.2 per cent margin) are usually the most lucrative," Graham said. "A couple of the big groups are reporting losses, but it is almost certainly not what’s happening. Dentsu Aegis had a £40m loss and Havas had £17m, and I don’t believe those groups are losing nearly £60m," Graham said, explaining that it was likely these groups were using accounting techniques to move profits onto P&Ls abroad. "Ad agencies have been to 10 to 11 per cent; digital has always struggled to deliver decent margins; while marketing and sales promotion is probably the worst of the lot, with a 10 per cent margin." Another important performance ratio the survey measures is revenue per employee. On average, the fee income per head among the top 40 was £118,000, which is well above the minimum £100,000 mark that Kingston Smith recommends. In fact, 26 consultancies on the list exceeded £100,000 and 15 reached or exceeded the upper target £120,000. Financial PR continues to dominate on fee income per head, filling the top four positions yet again. Consultancies that specialise in financial PR collectively reported a 5 per cent improvement in gross income per head, taking the average up to £169,000 – led by Finsbury (£284,327), Teamspirit (£219,513) and Maitland (£203980). The top 40 average was £116,000. The analysis also ranked operating profit per head, with Finsbury again out on top, followed by Fox and Tulchan. "It’s not necessarily about driving the people in the business harder to deliver more per person," Graham said. "Usually when you are getting up to numbers like that you are able to charge an appropriate price for the work you are doing. "When you’ve got businesses that are able to demonstrate that they’ve got skills and expertise that aren’t being badly commoditised, then you can stick at a higher price point, which is what drives those productivity figures." Financial and public affairs consultancies continue to lead on staff costs per head with Finsbury again dominating the top 40 list, followed by Maitland, Teamspirit and Citigate Dewe Rogerson. The average staff costs per head was £72,231, which is marginaly down on 2017 data. Nearly haf of the firms surveyed cut their staff costs per head, led by Ogilvy Healthworld, which reported an 18.6 per cent reduction. Teamspirit had the largest increase in cost per head of 26.4 per cent. The Kingston Smith survey also ranked the highest paid directors of each consultancy as declared in their statutory financial statements. Finsbury again leads the way with a significant gap to the rest. In terms of directors' remuneration, Finsbury led the way paying directors £7.54m, followed by Lansons (£4.66m) and then a sizeabe drop to Ketchum (£2.91m) Tulchan (£2.88m) and Next Fifteen (£2.27m). The lowest reported directors' remuneration was Fleishman-Hillard with £270,000. The full Kingston Smith Annual Survey can be found here. Agencies that would like to contribute to PRWeek's Top 150 consultancies can find out further details here. 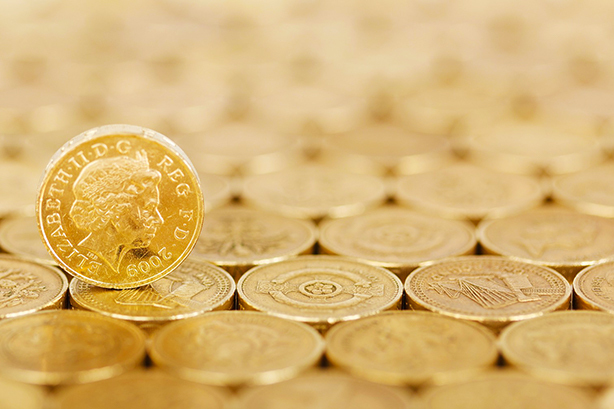 Which UK agencies are the most profitable and which bring in the most fees per head?